Step back from the frantic modern world and welcome tea into your lifestyle. 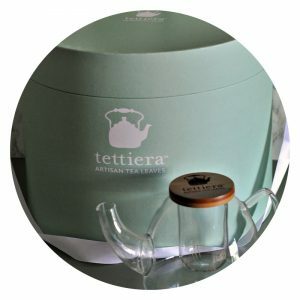 Tettiera™ has been inspired by the Maltese generations of old who used to refer to their precious teapot as tettiera. Every teapot has its own ritual and every generation has added its chapter to the story of their teapot. 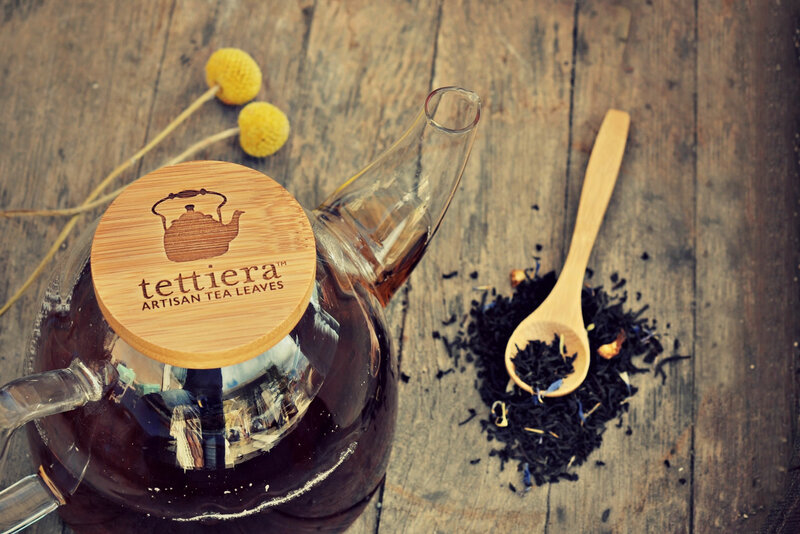 Tettiera™ has a range of premium artisan loose leaf teas sourced from renowned plantations across the most popular tea growing regions. The packaging design by Stephanie Borg™ is also locally inspired as it depicts patterns of traditional Maltese tiles. Assam Bukhail is a high end tea of FTGFOP1 grade from a renowned tea garden located south of the Brahmaputra River. Only a small quantity of this orthodox tea is exclusively produced. It’s medium strong and very malty cup give you that perfect kick in your brew. Enjoy with milk. The wonderfully fresh fragrance and brisk, floral infusion arouse anticipation even when the tea is brewing. 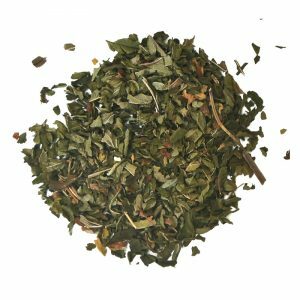 Darjeeling Maharani Hills is a first flush tea from the Darjeeling region in India coming from an elite tea garden called Maharani Hills. This is an FTGFOP1 grade tea which makes it the highest grade possible. The Maharani Hills are located in a particularly coveted section of Margaret‘s Hope Tea Garden at an altitude of more than 2,000 metres. The garden has been producing world-renowned superior qualities for 150 years. Maharani means “wife of the maharajah” and promises a quality that does honour to the name. 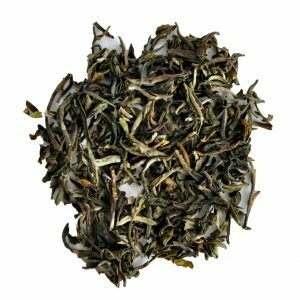 It’s beautiful greenish leaf with silvery tips from a high altitude tea garden, produces the perfect golden infusion with fresh-floral notes. Class in a cup. Discover the beauty of loose-leaf teas and fall in love again with the ancient tea ritual. In this luxury tube, you will explore 4 elite tea blends packed in our mini tubes. Enjoy brewing your tea in elephant shaped glass teapot with bamboo lid. A very limited collection available till stocks lasts. 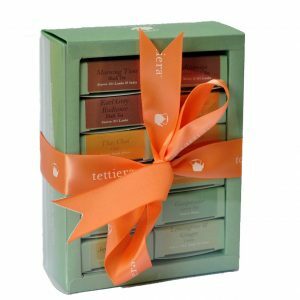 Packed in the luxury large mint tea tube with a cream satin ribbon – an elegant yet unique gift. Discover the beauty of loose-leaf teas and fall in love again with the ancient tea ritual. 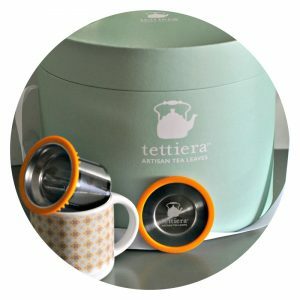 In this luxury tube, you will explore 2 tea blends from our standard collection: 1 Standard tube & 1 mini tube with one of our best selling blends ( please do indicate any preferences in the cart) Enjoy brewing your tea in our Tettiera tile pattern ceramic mug and the orange basket infuser! A very limited collection available till stocks lasts. Packed in the luxury large mint tea tube with a cream satin ribbon – an elegant yet unique gift. A little treasure box of artisan whole leaf teas. Contains 12 different blends hand-packed in eco tea sacks. 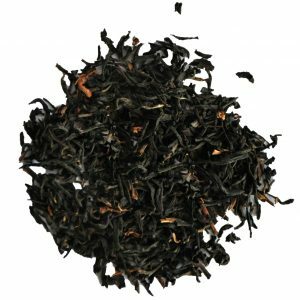 Morning Tune (Ceylon black tea (50%), Assam black tea (50%)), Tgħanniqa (Carob pods (55%), Ceylon black tea (45%)), Earl Grey Radiance (Ceylon black tea (90%), orange peel, blue cornflowers, earl grey bergamot flavour, vanilla flavour, cream flavour), Masala Chai Tea (Black tea (40%), cardamon seeds (19%), ginger root (19%), cloves (19%), cinnamon bark (2%), cinnamon flavour), Rooibos Masala (Rooibos (30%), cinnamon bark (20%), cloves (20%), ginger root (10%), cardamom seeds (10%), orange peel (5%), vanilla flavour), Rooibos Vanilla-Flavoured (Rooibos (99%), vanilla flavour), Green Chai Tea (Green tea (40%), cinnamon bark, ginger root, cardamon seeds, orange peel, cloves, spice favouring), Thai Chai Tea (Ceylon black tea (30%), cinnamon bark, ginger root, coconut meat, cardamom seeds, lemongrass, coconut flavour), Gunpowder (Green Tea (100%)), Tempting Raspberry (Green tea (90%), raspberry leaves (3%) raspberry pieces (3%), rose petals, raspberry flavour), Joyful Serenade (Chamomile flowers (43%), rooibos (37%), peppermint leaves (18%), vanilla flavour), Lemongrass & Ginger (Lemongrass (57%), ginger root (32%), licorice root, peppermint leaves, safflower, blue cornflowers. Contains liquorice – people suffering from hypertension should avoid excessive consumption). A captivating artisan tea ritual experience, made for the tea connoisseur. 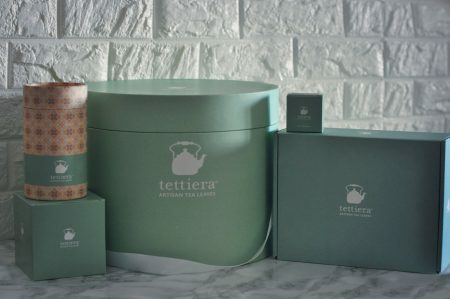 With this unique tea experience, we offer you the ultimate collection to create your own bit of haven in the comfort of your home. Five speciality loose leaf teas have been selected with care from the finest tea gardens across the globe, to provide you with a unique experience. Discover the strongest Assam Bukhail FTGFOP1 from India (100% black tea) , the elegant Darjeeling Maharani Hills FTGFOP1 from India (100% black tea) , the Tanzania Usambara Green Tea (100% green tea) , Kilimanjaro Region from Africa, Ali Shan Oolong Tea (100% oolong tea) – Ali Shan Mountain Plantation from Taiwam and Tgħanniqa black tea blend from Malta ( 55% Carob, 45% Ceylon black tea). A rose-gold solid tong infuser adds flair to the tea ritual preparation. A hand-made ceramic mug and a mini tray specifically crafted for this collection by RoArt Ceramics. The duo depicts a hint of the signature Tettiera pattern designed by the talented and renowned Maltese artist, Stephanie Borg. To encourage self reflection and tea notes, a classy Stephanie Borg A6 Tile Collage Pattern Journal is included. Seal off this ritual with The Trio Artisan Chocolate made for tea pairing by our partner chefs at Oil & More. A very limited collection available till stocks lasts. 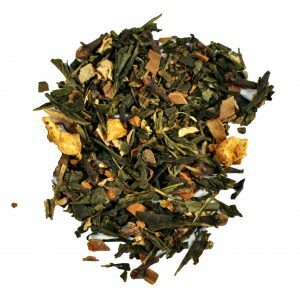 A warm and softer chai with all the light flavours of a green tea perfect to drink any time! Historically, tea in India was viewed as a herbal medicine, rather than as a beverage for taste. Some chai spice blends still in current use are derived from Ayurvedic medical texts. Popular spices include anise, cinnamon, clove, cardamom, peppercorn and ginger. Traditional preparation actually calls for the spices, milk and leaves to be simmered over sustained heat, rather than steeped in preheated water. In India, chai is served in little clay cups from chai carts. 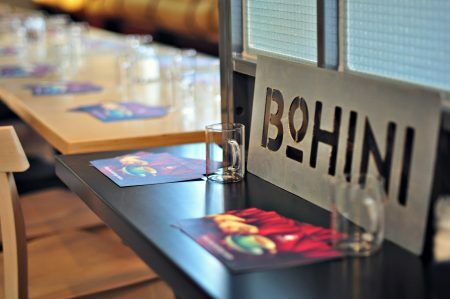 After enjoying your tea, the cups are shattered on the ground and allowed to compost – an earth-friendly alternative to paper or plastic cups. perfectly with the eartheness of turmeric, whilst the ginger and peppercorns enliven your senses. aroma with a cooling, deeply refreshing flavor and smooth finish. The ideal soothing cup to make anyone feel better. 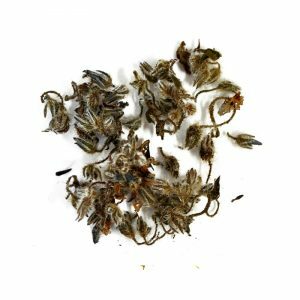 Bewsa, meaning a kiss, is simply the perfect description for this delicate borage infusion. A soft yellowish brew that is pleasantly sweet with a hint of cucumber and a mildly grassy after-taste. Sourced from Vincent Eco Estate in Zebbiegħ, Mġarr, Malta. A soothing yet joyful cocktail of chamomile blossoms, rooibos vanilla and peppermint leaves. A pleasantly surprising combination. This indulgent cocktail of Egyptian chamomile blossoms blended with the rich South African rooibos bush, makes you want to sing a joyful serenade. The blending with vanilla and the peppermint leaves makes it a unique tune. Find your daily calm with Joyful Serenade. 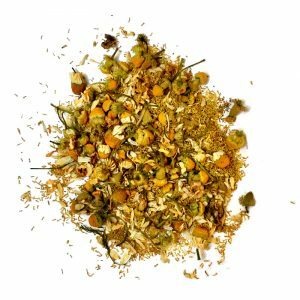 The name Chamomile comes from the Greek word meaning ‘ground apple’. 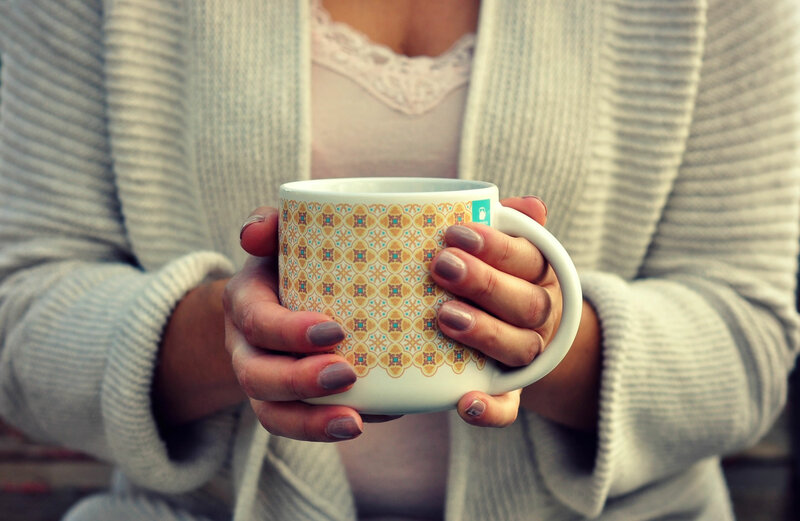 Its history dates back at least to ancient Egypt, where Chamomile tea was prescribed as a cold remedy. The Romans enjoyed it as a beverage, as well as an incense. Ironically, the name ‘Roman Chamomile’ by which it is sometimes known, does not stem from this time. It rather comes from an arbitrary naming of the herb in the 19th Century by a botanist who happened to find some growing in the Roman Coliseum. 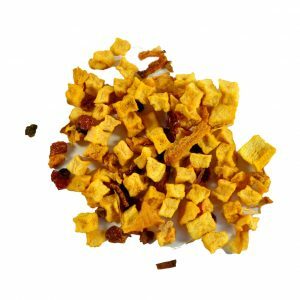 This golden herb will always be a favourite with its calming effect and sweet floral finish. Serve with honey for extra sweetness. 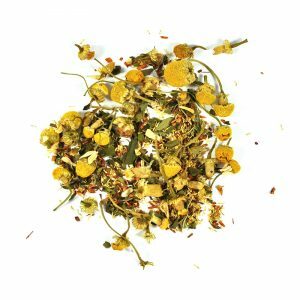 Our Chamomile tea is made of the finest chamomile flowers from the Nile River Valley in Egypt. Considered a remedy for all ills by the ancient Egyptians, this golden herb remains a modern favourite to promote calm and relieve anxiety. Rediscover and connect with one of Mother Nature’s greatest gifts, the Camellia Sinesis. Discovered over 2000 years ago in China, tea and its rituals have always been a major part of life in China, India and neighbouring countries. Every culture has its own way when it comes to teatime with the British leading the way in Europe with their charmful and appealing afternoon tea ceremonies. 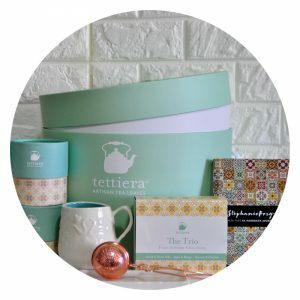 Christmas Gift Guide & Corporate Gifts!